As our rain continues, moisture travels to deeper levels in the soil and awakes one of our favorite amphibians – the slender salamander. 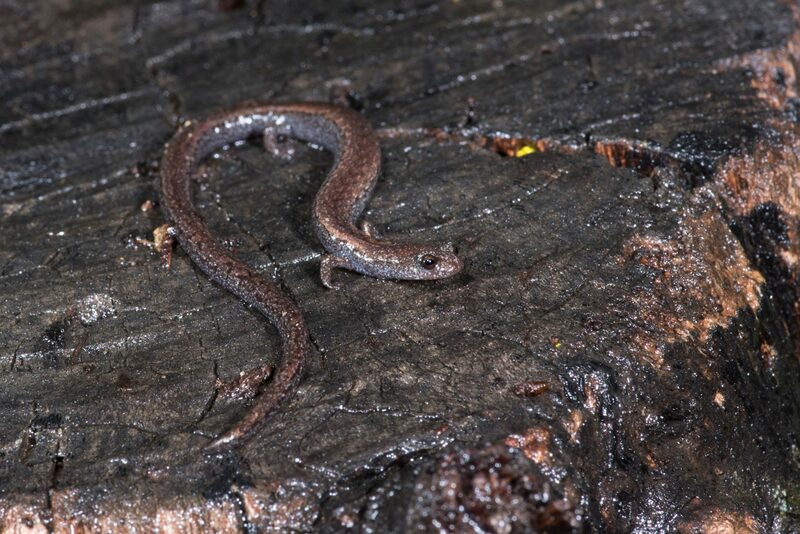 Slender salamanders do not breathe through lungs, they breathe through their skin and the tissues lining their mouth. This requires them to live in damp environments on land and to move about on the ground only during times of high humidity. Our salamanders deal with Southern California’s Mediterranean climate by burying themselves deep in moist soil when the rains stop, and return to the surface once the rain begins again.